Do you have memories of delicious, wholesome pudding from your childhood? 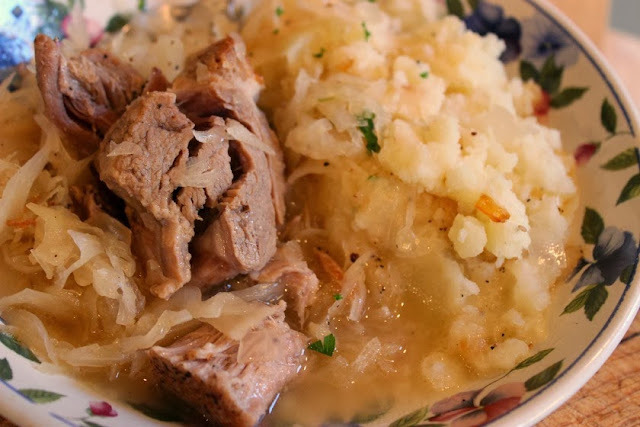 Did your Grandmother or your Mother make rice pudding? Kozy Shack is the next best thing to Mom's homemade pudding! Kozy Shack® Pudding is pudding made right—made with simple, wholesome ingredients, so it’s simply delicious. All three puddings are made with wholesome ingredients, including real milk and no artificial preservatives or hydrogenated oils. All three are a good source of calcium. Kozy Shack® Puddings are also gluten free. • Kozy Shack® Rice Pudding is America’s number one rice pudding. 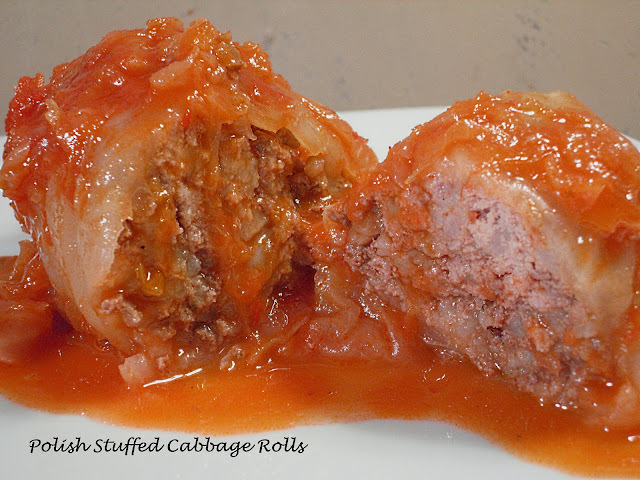 It is made with low-fat milk, rice, sugar, eggs, salt and natural flavors. Nothing more. Kozy Shack Pudding tastes delicious straight out of the fridge, but you can turn your everyday pudding into a special treat by adding fruit, spices and other toppings you already have at home. 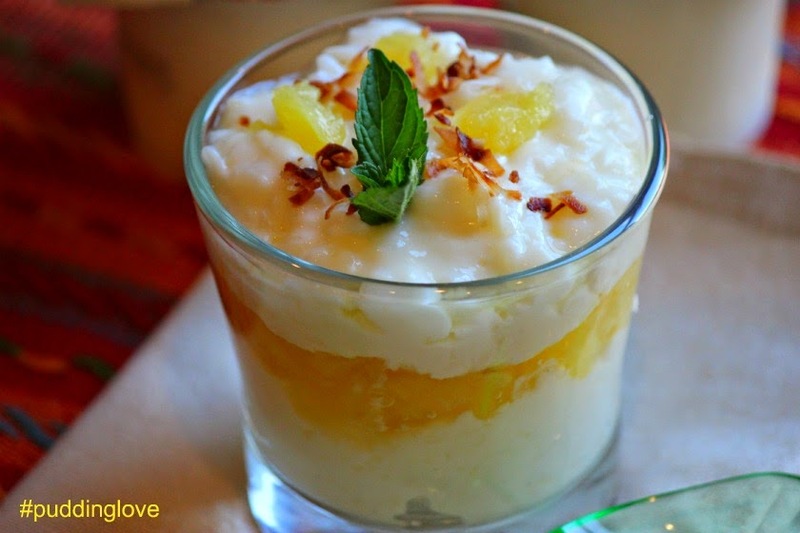 I turned this Rice Pudding into a tropical treat by layering pudding with crushed pineapple and topped with toasted coconut! Delicious! With simple toppings and mix-ins, you can enjoy pudding exactly the way you like it. Here are some of our favorite combinations. Feel free to use these ideas and/or create your own: • Bananas & Cinnamon Rice Pudding Spoon Kozy Shack® Rice Pudding into a small dish. Top with sliced bananas and a sprinkle of ground cinnamon. • Peaches & Blueberries Rice Pudding Layer diced fresh peaches, Kozy Shack® Rice Pudding, and blueberries in a small dish. Top with any remaining fruit. • Chocolate Drizzled Strawberries and Tapioca Pudding Drizzle strawberries with melted dark chocolate and allow to set. Layer chopped strawberries and Kozy Shack® Tapioca Pudding in a small dish. Top with a chocolate-drizzled strawberry. • Banana Split Chocolate Pudding Spoon Kozy Shack® Chocolate Pudding into a small dish. Top with a dollop of fresh whipped cream, a banana spear and a maraschino cherry. 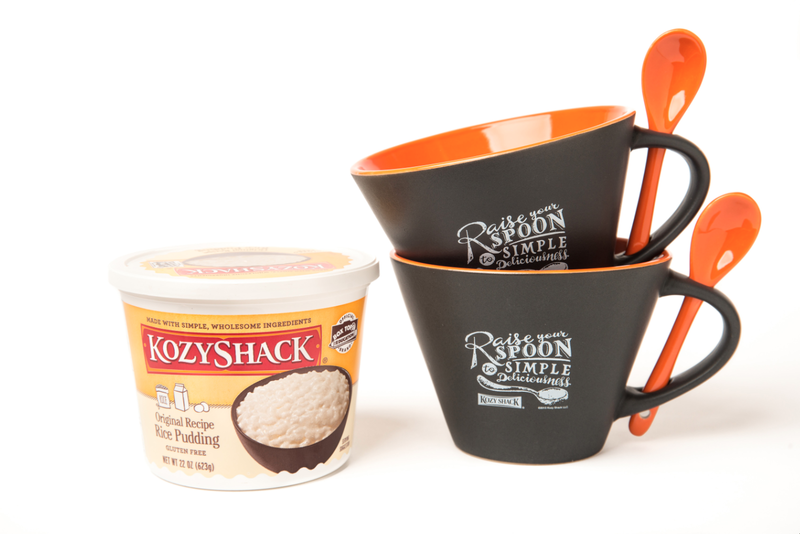 "Giveaway Pudding Cups" One lucky reader can enter to win 2 premium, ceramic Kozy Shack® Pudding mugs with spoons. They will also receive a product coupon good for one (1) free package of any Kozy Shack® product, up to $4.99 value. TO ENTER: Simply click on the link above, then return to my page and leave a comment about how you enjoy eating pudding or memories of eating pudding from your childhood. This article is sponsored by Kozy Shack. I always remember having rice pudding as a child. It is the utmost comfort dessert. With the added topping, it's sounds and looks delicious. I am looking forward to trying this. I have to laugh that the prize includes bowls...when I'm stressed I always grab Kozy Shack and a spoon...who needs a bowl ??!! I remember always being a treat to lick the mixer blades from the pudding. For the longest time, pudding was my one treat a day. We'd all sit as a family, and each having a pudding (it was really as cute as it sounds). I like to eat pudding with some whipped cream on top. It is a combination up there with chocolate and peanut butter. My favorite dish at school was rice pudding topped with cinnamon sugar. Love all cozy shack products! I remember my mom making rice pudding from scratch. When she tasted her first spoonful she exclaimed "this tastes just like mine". Ever since I have been a cozy shack fan. Thanks for all the great ideas on how to serve it! Two things I remember about eating pudding when I was a kid was licking the pot after my mom made it and peeling the skin off after it cooled in the fridge and eating that first. I love eating chocolate pudding with whipped cream. Yum! I have liked Rice Pudding ever since my mom made it when I was a child. 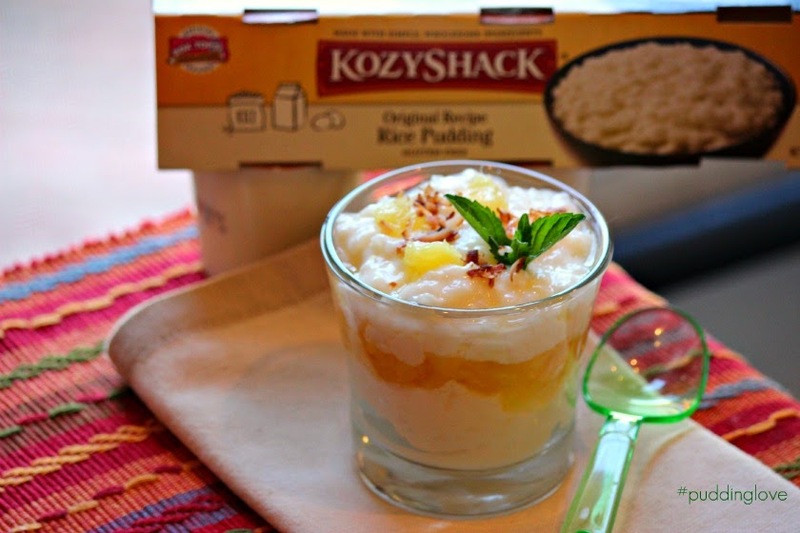 I just love the original kozy shack rice pudding and it's gluten free! I have Celiac disease and have a very difficult time getting my weight back up to where my Doctor says it should be...but since discovering kozy shack I have gained seven pounds in two months☺. That's what happens when you eat two to three big tubs a day!